Debate triggered by an e-petition led by celebrity Dr Brian May which, by then, had gathered more than 150,000 signatures. 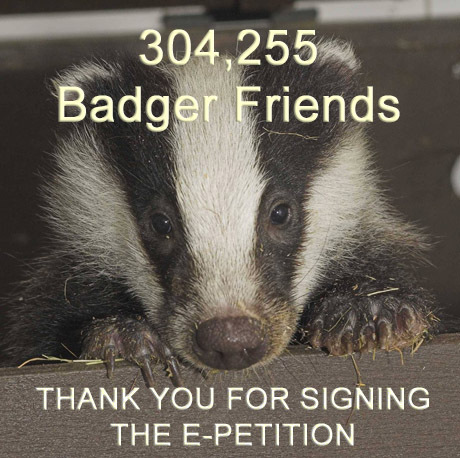 When this e-petition closed on 07 September 2013, there were 304,255 signatures. The Government, however, is not legally bound to uphold any decision made and chose not to do so. 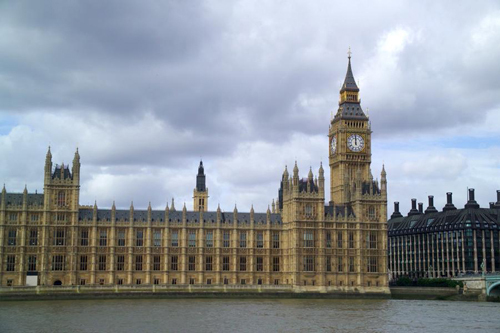 Listen to the debate from the House of Commons. The full 8 hours 07 minutes and 49 seconds. There are three principle reasons why I was one of those Members to ask a House of Commons business scheduling committee for a debate on the proposed badger cull and I why spoke and voted against a cull in the debate I secured on the floor of the House on 25 October 2012. Firstly, I believe a badger cull would be damaging to wildlife. Secondly, the science suggests that a cull is unnecessary and that there are more effective solutions. Thirdly, and most importantly, evidence points that a cull would not significant reduce the incidents on bovine tuberculosis and therefore would not be of benefit to cattle herds and the agricultural industry across the country. Bovine TB is a very real and devastating issue for many farmers and it is vital we find an effective long term measure to eradicate this disease. I therefore welcome the government's announcements on improving cattle testing, movement controls and biosecurity. However, the most reliable scientific evidence suggests badger culling is a short-term, unsustainable and ultimately ineffective approach. Allowing the shooting of free-ranging badgers in TB affected areas is an untested and dangerous move. Which I believe has no place in a science-led policy. Indeed, rather than solving the problem, it risks making matters worse by disrupting their social structures leading badgers to spread into new areas. Licensing the shooting of one of our best loved native species has also, unsurprisingly, generated considerable public opposition. Vaccination of both badgers and cattle, together with enhanced cattle testing and improved biosecurity measures, is the publicly acceptable, and ultimately effective long-term solution. After 10 years work the Independent Scientific Group concluded in 2007 that: "Badger culling can make no meaningful contribution to cattle TB control in Britain." The significant scientific doubt over a badger cull effectiveness and strong evidence that it might actually make incidents of bovine TB worse I believe means we need to urgently reconsider the killing of badgers until the comparatively enormous reservoir of disease in herds is cleared and to introduce compulsory annual testing of all cattle with the more sophisticated techniques now available. Bovine TB is a serious problem for UK farmers, deserving the highest standard of evidence-based management. Increasingly that is why many farmers are against the cull too. By increasing biosecurity - something that British agriculture has not properly addressed for decades and has been to the massive detriment of farming, our economy and animal welfare - we can reduce bovine TB. By increasing vaccination in badgers and cattle we can prevent the unnecessarily killing this much loved British wildlife species. And by increased testing we can ensure that our agricultural industry recovers from this most damaging disease. I welcome the vote which saw 147 MPs, including myself, vote against a badger cull and only 28 in favour of one. 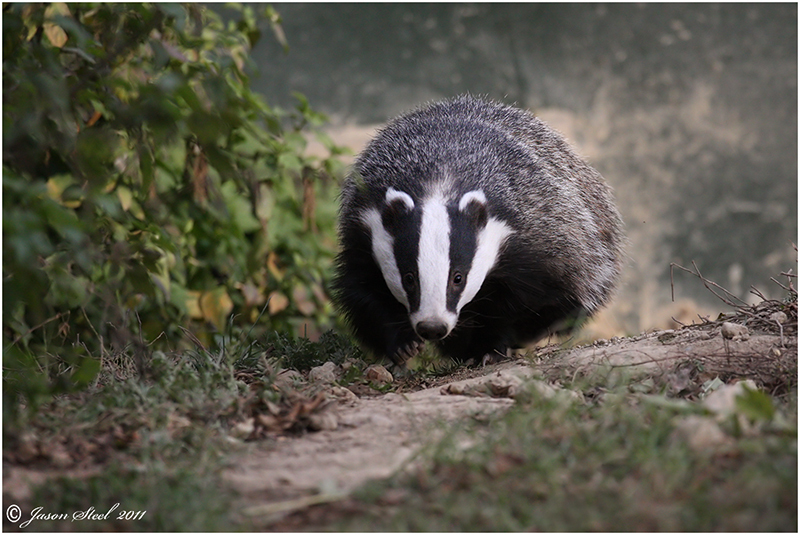 Edward Leigh MP has expressed his support for the proposed badger cull pilot. “It is a disgrace that we have failed so far to take decisive action to curb the spread of bovine TB, a disease which has led to the slaughter of over 88,000 cattle since the 2010 election,” he said. 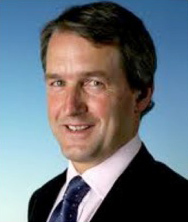 He has called for clarity on the issue of the badger cull from the Environment Secretary, Owen Patterson MP. In a question to the minister, he pointed out that culling had been identified as necessary over two decades ago, and still no large scale culling was taking place. He asked for assurance that the proposed cull would go ahead, in order to protect cattle farmers from the ‘untold misery’ which bovine TB caused. In response, the environment secretary said, “emphatically we will stand by this policy”. DEFRA secretary Owen Paterson has restated his determination that a badger cull to combat bovine TB will take place in the summer of 2013. Bovine TB was the most pressing animal health problem in the UK, said Mr Paterson in a keynote speech to the Oxford Farming Conference . "Its effect on our cattle farmers, their families and their communities cannot be overstated," he told delegates on Thursday 3 January 2013. Last year, TB led to the slaughter of 26,000 cattle in England at a cost of nearly £100m, said Mr Paterson. In the past 10 years, the disease had cost the taxpayer £500m, he added. This would rise to £1bn during the next decade if bovine TB was left unchecked. A decision to postpone two pilot culls last autumn was disappointing, but was "the right one in terms of the effective delivery of the policy," said Mr Paterson. The two culls - in Somerset and Gloucestershire - were postponed after farm leaders said they could not guarantee culling higher-than-expected badger numbers. Mr Paterson said he had established a project board with all key partners - including DEFRA, Natural England and the police - to oversee the delivery of the pilot culls. "The pilots will go ahead this summer," said Mr Paterson. "We are all committed to working together in partnership to ensure the culls go ahead and to ensure a sustainable model for future development." Referring to additional TB measures pertaining to cattle that came into effect on 1 January 2013, Mr Paterson said culling was only one element of the government's approach to tackling bovine TB. "That is why we continue to strengthen cattle movement controls, increase our surveillance testing regime and invest in research into badger and cattle vaccines." Mr Paterson said he was also keen to pursue better diagnostic techniques such as PCR and to work with the European Commission on a way forward on vaccination. "With an injectable cattle vaccine and a legal and validated diagnostic test still some way off, I am acutely ware of the burden the increasingly stringent on-farm measures are placing on farmers. "That is why I am determined to use every tool at our disposal and to bear down on the disease in both cattle and badgers." So the e-petition had no effect at all. In addition, the many arguments and evidence from scientific experts was pushed aside. The coalition Government had decided that badgers should be killed. This left the people totally ignored.